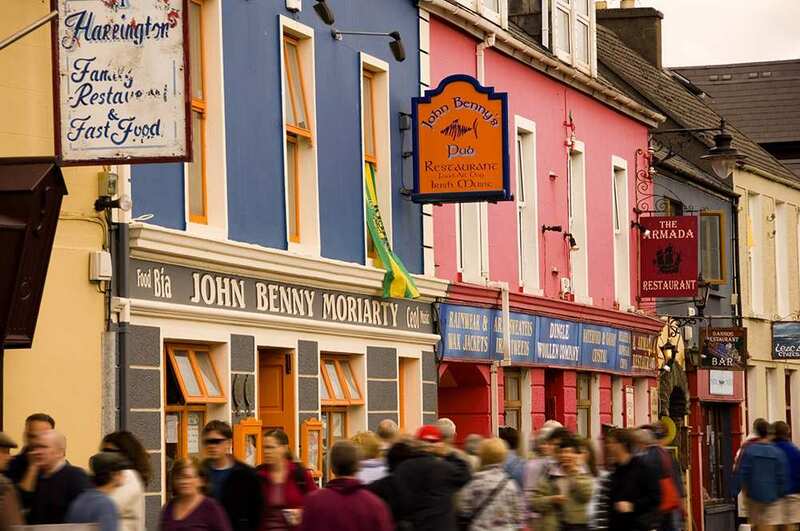 Sample the Dingle Way on a short self-guided walking holiday: the perfect weekend getaway. Accommodation, luggage transfer and custom holiday pack included. 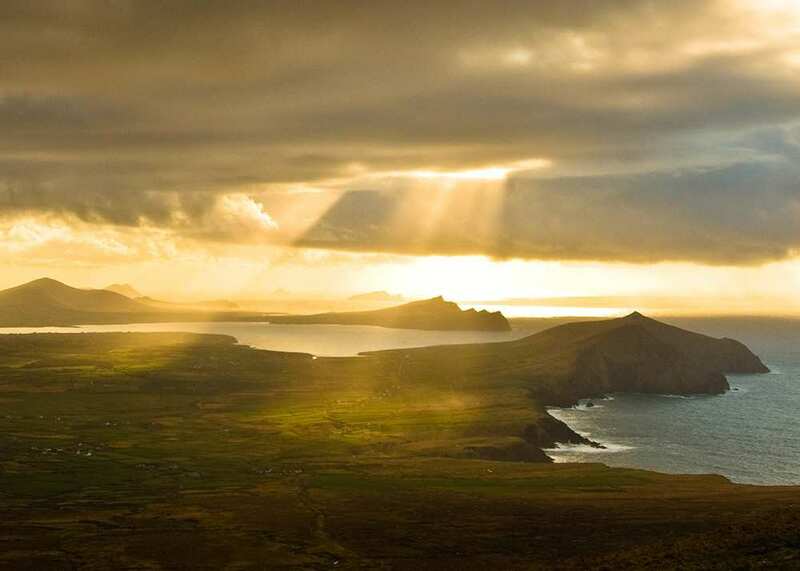 A short walking holiday from Camp to Dunquin around the spectacular Dingle Peninsula. 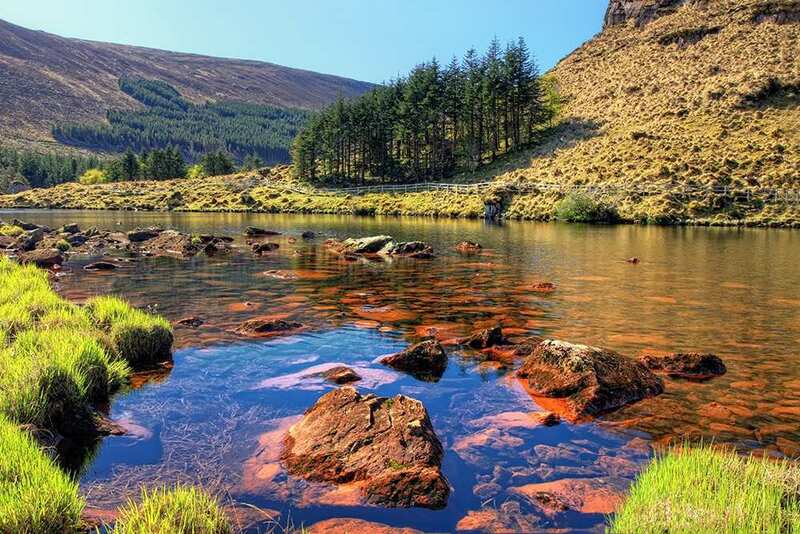 Starting in the village of Camp, beneath the Slieve Mish Mountains, the Dingle Way Short Break follows three of the best days along this fascinating hike through traditional Ireland; an ideal walk for those with less time who wish to experience the charm of the South West. 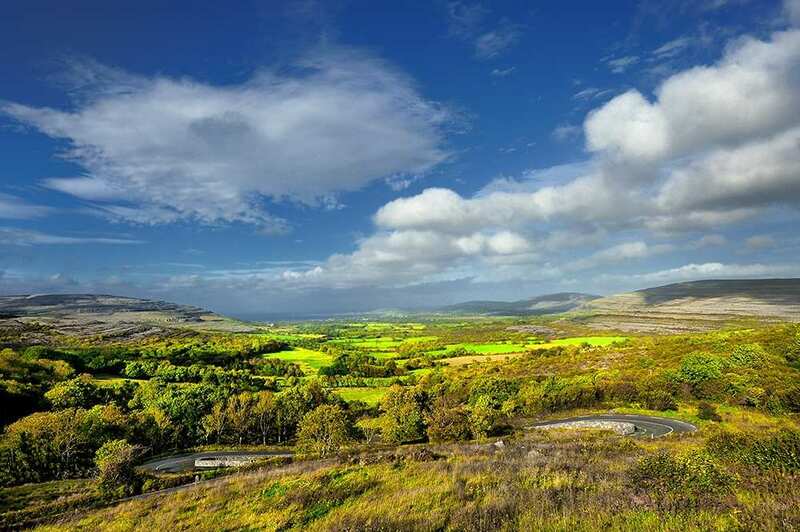 The first day heads through the countryside down towards the village of Annascaul, where traditional Irish music fills the local pubs. 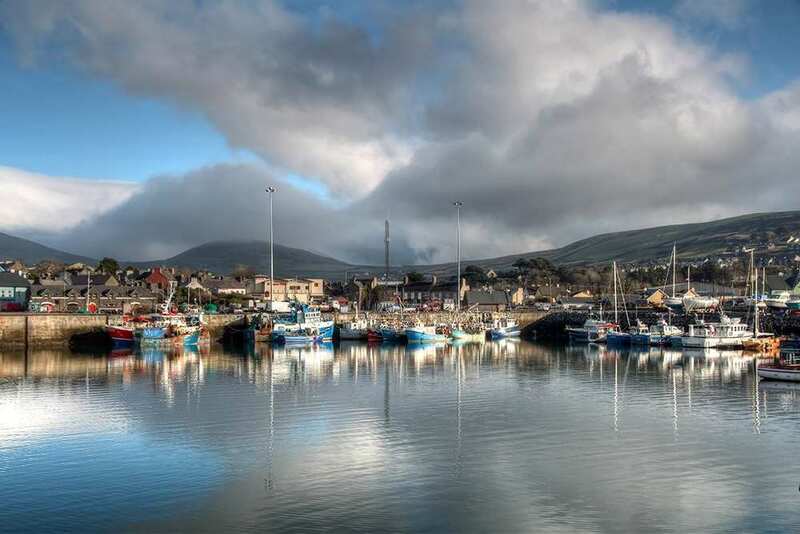 The trail continues following the coastline towards the fishing town of Dingle, great for local seafood and witnessing dolphins in the harbour. 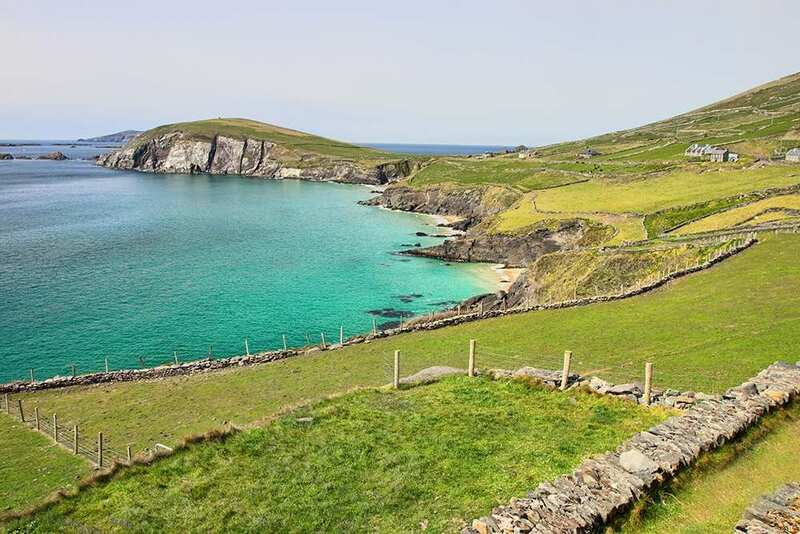 The trail finishes with a last day exploring the ancient landscape around Slea Head as it makes its way to the village of Dunquin, a Gaeltacht village where the Irish language still prevails. Camp to Dunquin with transfer to Dingle at end of walk. Getting a sense of Irish culture and customs and perhaps even listening to traditional Irish music. Admiring the varied scenery, from the crashing waves and dramatic cliffs of the coastline, to the mist-covered mountains and the lush green fields stretching into the distance. 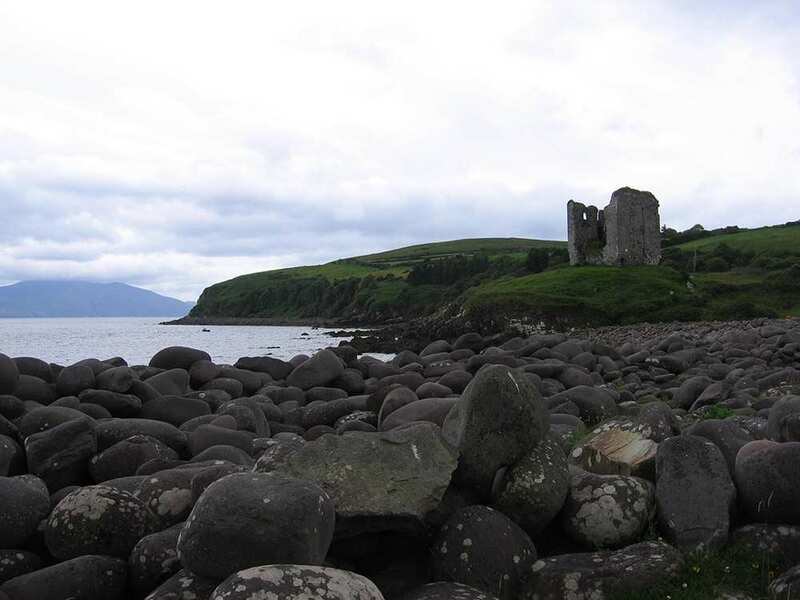 Exploring the archaeological heritage of the Dingle peninsula, with beehive huts and ancient villages. 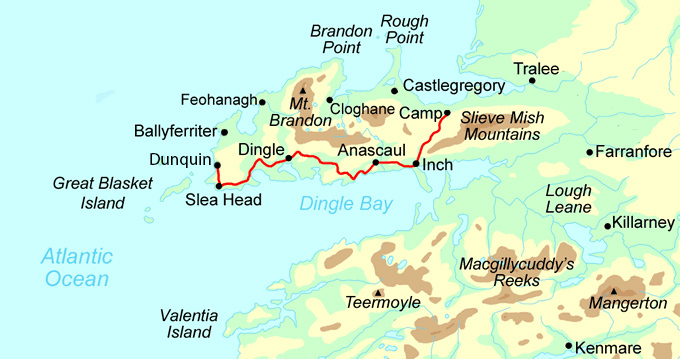 By Rail - The nearest rail station to the trail is Tralee, about 11 miles from Camp and about 31 miles from Dingle. By Bus - There is a bus service from Tralee to Camp at the start of the trail. From the end of the trail at Dingle, there is a bus which runs to Tralee. These bus services are fairly infrequent, so a taxi may be a better option at certain times. From Dublin - There is a train service between Dublin and Tralee. A bus or taxi would be required to complete the journey to the start/from the end of the trail. Buses run between the centre of Dublin and Dublin Airport. 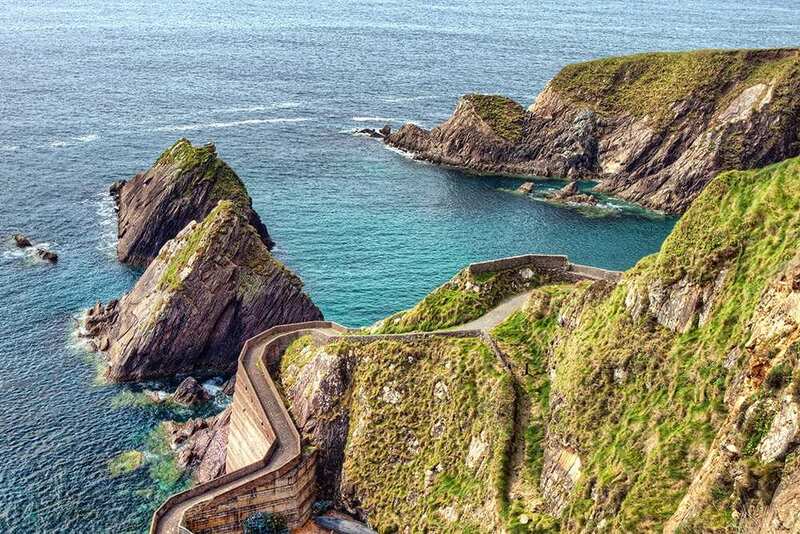 A transfer from Dunquin to Dingle is included at the end of the walk. To return to the start of the trail - Take a bus or taxi from Dingle to Camp.